w.w.e.d.? : slurpees are so passé. 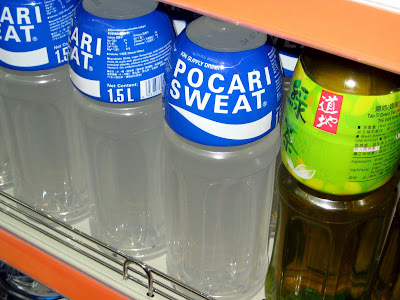 they sell bottled sweat at our 7-eleven. That's disgusting! What's the point? Bottle sweat. Huh Are there uses for it on the back? Curious what people would use this for. Maybe I shouldn't be curious. 1 month to go huh! You look great! Pretty exciting stuff, keep up the good work on growing a boy. So wait, does it taste like sweat too?